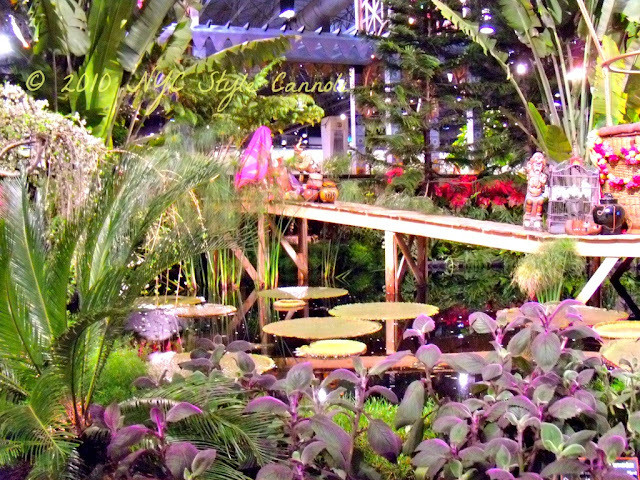 2013 PHS Philadelphia Flower Show Will Be "Brilliant"
The 2013 PHS Philadelphia Flower Show, entitled “Brilliant!,” promises to be all those things and much more. Inspired by the majestic beauty and creative genius of Great Britain, “Brilliant!” will be presented March 2 through 10 at the Pennsylvania Convention Center. Magnificent floral and garden exhibits, special programming and new attractions will pay tribute to centuries of influential British culture, culminating in the urbane style of 21st-century London. PHS has developed partnerships with Britain’s Royal Horticultural Society in preparation for “Brilliant!” and will feature British experts and designers, including presentations by Mark Lane, Gardens Manager at Buckingham Palace. The British-American Business Association is working with PHS to bring specialized products from Britain to the “British Village” in the Convention Center’s Grand Hall, which will also house a photo exhibit of the Queen’s Diamond Jubilee visit to the RHS Chelsea Flower Show. The PHS Philadelphia Flower Show will open a new chapter in its 184-year history by adding an extra day to the show’s run in 2013 to provide greater opportunity for visitors to see the nation’s premier horticultural event. For the first time, the show will open on a Saturday and will include two full weekends. 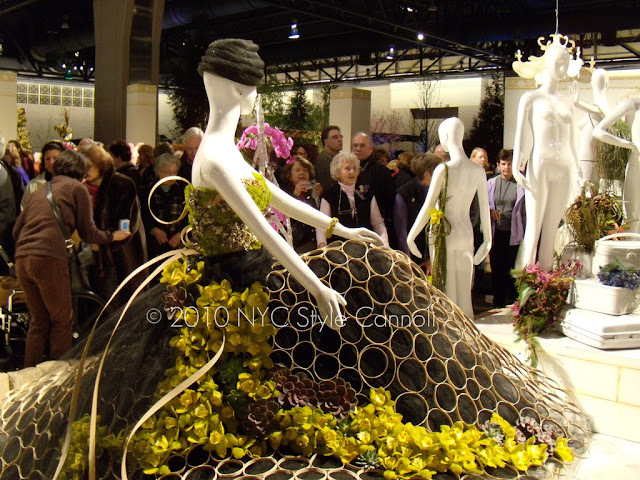 The Flower Show will introduce an exciting variety of new features in 2013. For the first time, the public will be invited to purchase Pre-Show Sneak Peek ticket packages to visit during set-up week, Feb. 25 to 28, allowing behind-the-scenes access during construction of the elaborate exhibits, plus refreshments in a room overlooking the show floor. The colorful “New Plant Showcase” will introduce recently developed varieties of flowers and plants by internationally acclaimed growers. New “Make & Take” workshops will offer opportunities for visitors to design, craft, and take home their own fashionable “fascinators” – stylish hats popularized at the Royal weddings -- or other creative projects. A new attraction especially for guys will be “The Backyard,” a room devoted to outdoor living, featuring decks and patios, grills and fire pits, new garden tools and techniques. All the entrants in the competitive heart of the Flower Show will be awed by the unveiling of the “PHS Hamilton Horticourt,” a grand, redesigned structure and staging for the individual plants grown by veteran and novice exhibitors. The entrance of the 2013 Flower Show will focus on the sophisticated design sense of London and how it has influenced the modern world. For “Brilliant!,” traditional British icons will be given contemporary interpretations. The scent of English roses will welcome visitors at the Royal palace gates, which will open to an allée of regal birch trees, leading to the show’s centerpiece: a sculptural, digitally enhanced rendition of Big Ben, featuring a light and sound show every half-hour. Major exhibits will explore Britain’s heritage and culture, from Royal events to the Mad Hatter’s Tea Party, sunny cottage gardens to foggy London streetscapes, and Sgt. Pepper’s band to Jack the Ripper’s Whitechapel. Visitors will stroll past rolling British hillsides, a manicured cricket club, and a floral presentation of the Crown Jewels. A giant Union Jack will get a distinctly green treatment at the PHS Exhibit, which will celebrate the 185th anniversary and latest garden and design innovations of the nonprofit organization. There will be a Flower Show feature for every interest in 2013, with displays, presentations and events that inspire and provide practical ideas for the home and garden and the do-it-yourselfer. Foodies of all tastes will love the Garden to Table Kitchen, a culinary demonstration room sponsored by Organic Gardening magazine that highlights great chefs and focuses on fresh ingredients from the garden. The PHS Kids Zone, sponsored by Einstein Healthcare Network, will be a space for children to unwind and parents to relax. Interactive features in the room will emphasize healthy family living. Garden Teas will have a decidedly British flavor at “Brilliant!” The popular, reserved events are the perfect complement to a day at the Flower Show, with a refreshing light meal in an elegant, cozy space. 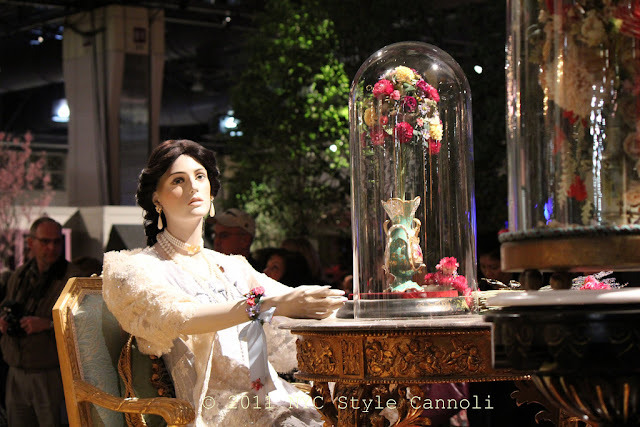 Special afternoon and evening events invite distinct audiences to enjoy the Flower Show. 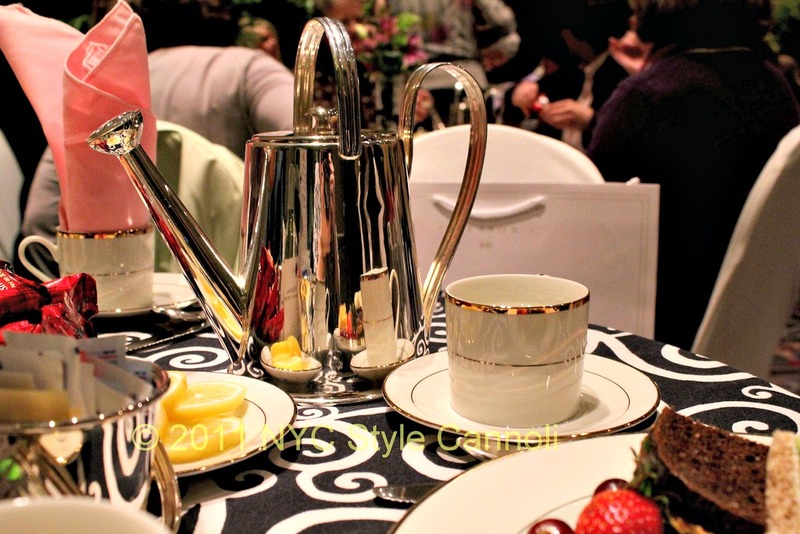 The “LGBT Party” will be Sunday, March 3, at 4 p.m. Brides-to-be and their parties will love “Wedding Wednesday” on March 6. “Girls’ Night Out” will be Thursday, March 7, and “Family Day” will be Sunday, March 10. And every day is perfect for the free tastings offered by the PA Fine Wine and Spirits store in the Grand Hall, which will highlight exceptional offerings from Great Britain this year. Gardeners of all levels will find something to learn in the Speaker Series and Gardener’s Studio presentations, featuring nationally and internationally renowned experts on green walls and green roofs, vegetable gardens and edible landscapes, tree and lawn care, and many other topics. One of the most exciting corners of the Flower Show will be at the Designer’s Studio, where reality-TV-styled, floral-arranging contests pit professional designers or amateur artists against one another. The audience votes for the winners in these entertaining and raucous competitions. Shoppers will find unique Flower Show keepsakes, clothing, “Brilliant!” souvenirs, and exceptional plants from PHS Meadowbrook Farm in the PHS Store, and all manner of gifts, art, jewelry, cut flowers, home and garden décor, and horticultural products in the Marketplace of 180 specialty shops. The Flower Show is the perfect occasion to take advantage of PHS membership, which includes free tickets to the show, access to the comforts of the Members Lounge, discounts at many of the Marketplace shops, year-round discounts at select garden centers including PHS Meadowbrook Farm, a subscription to the popular Green Scene magazine, and other benefits. This year, members also will enjoy extended Flower Show preview hours: Friday, March 1 from noon to 3:30 p.m. or Saturday, March 2 from 8 to 11 a.m. In addition to the major garden displays, the Flower Show hosts world-renowned competitions in horticulture and artistic floral arranging, hundreds of gardening presentations and demonstrations, special events, a mammoth indoor Marketplace, and a city-wide Flower Show Week celebration throughout the Philadelphia region. The Premier Sponsor of the 2013 Flower Show is Subaru, and the Exclusive Sponsor is Bank of America. Proceeds from the Flower Show benefit the year-round programs of PHS, which is celebrating its 185th year of gardening, greening and learning. PHS initiatives include the PHS City Harvest program, which creates green jobs and supports a network of community gardens that raise fresh produce for more than 1,000 families in need each week during the growing season. 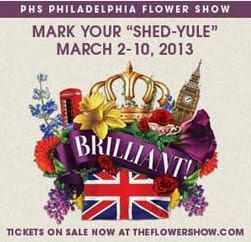 all info from the Philadelphia Flower Show Looks like it is going to be really interesting this year!! It looks like a great show...Thanks for sharing!